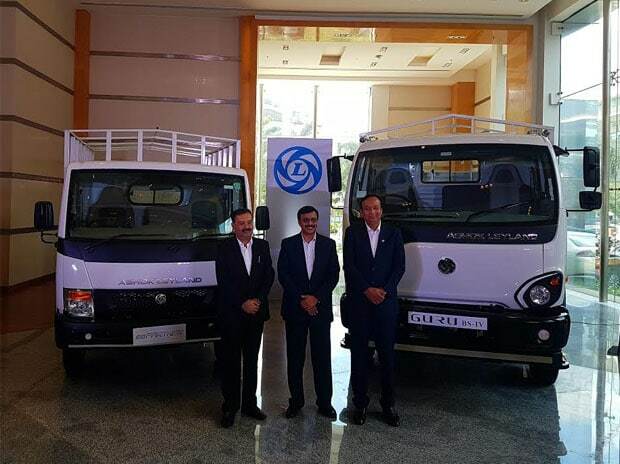 Hinduja Group flagship Ashok Leyland has recorded a 21.7 per cent rise in its sales in January 2017 to 18,101 units. The city-based commercial vehicle major had sold 14,872 units during same month of last year, the company said in a statement. Sales of medium and heavy commercial vehicles rose to 13,643 units in January 2018 from 12,056 units sold during the same month last year. Sales of light commercial vehicles surged 58 per cent to 4,458 units in January 2018 as compared to 2,816 units sold in same month of last year. For the April-January 2018 period total sales of Ashok Leyland went up by 19.5 per cent to 1,34,240 units. The company had sold 1,12,317 units during the same period of last year. Sales of light commercial vehicles in April-January 2018 period went up by 31.1 per cent to 33,590 units from 25,608 units sold during same period of last year. Sales of medium and heavy commercial vehicles increased by 16 per cent in April-January 2018 period to 1,00,650 units from 86,709 units sold during same period of last year. Shares of the company were trading at Rs 123.90 apiece down by 1.63 per cent over previous close in BSE.